Good students = Good Teachers, the very equation hold true even in today’s era. But, the quality of education in our country is degraded to a large extend. As per the latest statistics available, the interaction with the Teachers, Parents, Students, Principals and other educational consultants unanimously pointed to the sheer discontent over the quality of teachers and lack of teacher training programs. There has been a considerable deterioration of quality of teachers over the period of time in our country, which generates an immediate need for not only the primary teacher training, but training for teachers at all levels. The one-time program for training the teachers often fail considering the dynamic need of the hour. There is no denying the fact that the role of a teacher is inevitable and crucial is the learning process of the students, who are going to lead the country in the coming future. It is only the teacher-student learning process in the school, which paves the way for the future of the student in turn affecting the future of the youth of the country. This is the reason, a good number of educationists such as Rosetta Williams is contributing towards implementation of effective teacher training programs at all levels. Like any other profession, where the individuals need to be abreast with the latest changes and developments, the teacher is also required to constantly evolve their own skills to impart the new lessons to the students. It is said that a good teacher is nothing but a good student who keeps on learning to grab more and more information and ideas to effectively impart knowledge to their students. For learning the innovative ideas, the training for teachers is an essential requirement. The teaching methodology, the teachers learnt during their primary teacher training course has undergone a paradigm shift. Those teaching methodologies don’t even exist in today’s time. Thus, it becomes difficult for them to hold the class and convey the learning points in innovative, effective and easy terms which can be grabbed by the students quickly. To become familiar with such methodologies, the constant training arrangements must be made. The process of learning and teaching, are no separate, but one. 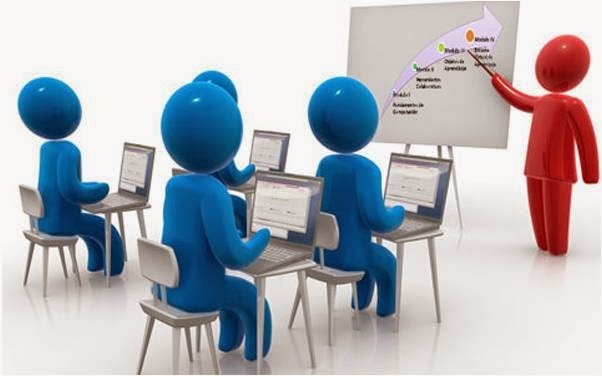 The teacher training modules which are in accordance with the curriculum and caters to the teaching fraternity not only provides the teachers with the needs tools, but also provide an unsaid support in instilling confidence amongst the teachers in giving effective learning to their students. If the teachers are given the training on their domain of expertise, they can better link with it and even use it in their day to day dealing with the learning process of the students. This enhances their problem solving ability and aids in giving the needed value addition to the students.